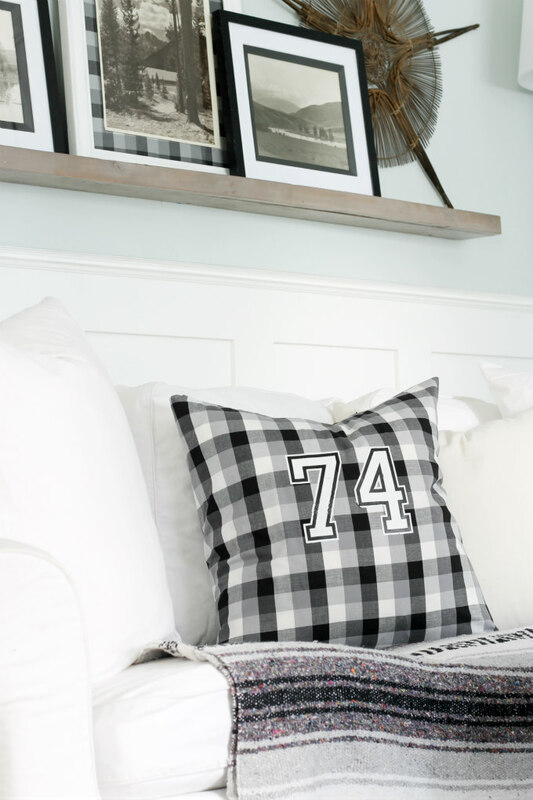 Throw pillows are one of the easiest ways to switch up the look of a room for the changing seasons. But that doesn't mean you need to go out and buy new pillows every season. That could end up costing a lot of money and then where do you store the extra pillows once the season is over? 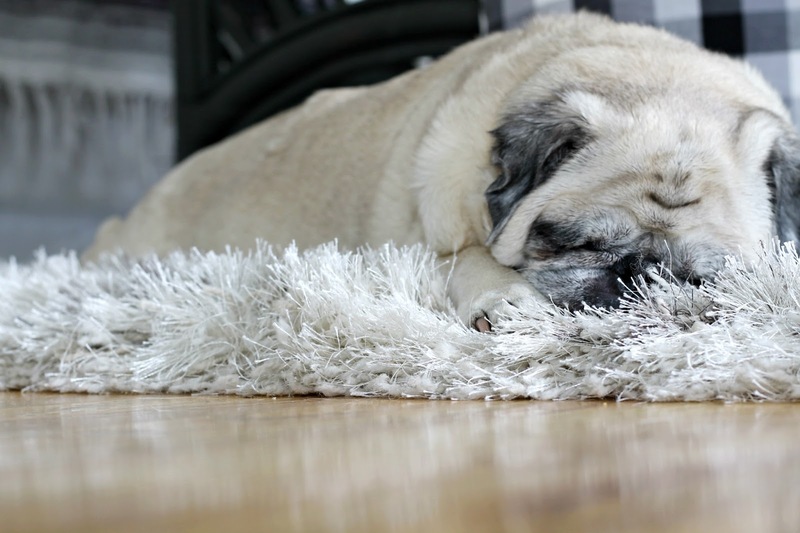 I have found that by buying a yard of fabric, I am able to sew a simple pillow cover that saves me money and are easy to remove and store when not in use. 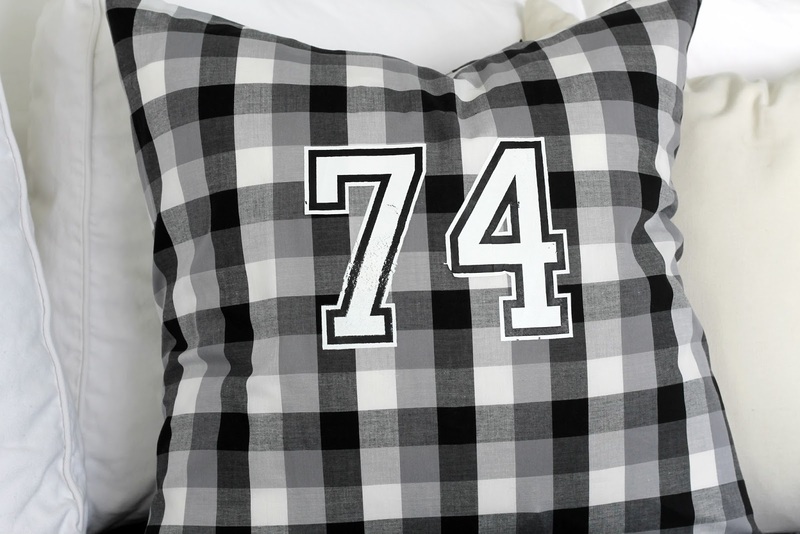 This black and white sporty pillow is one of my latest creations. 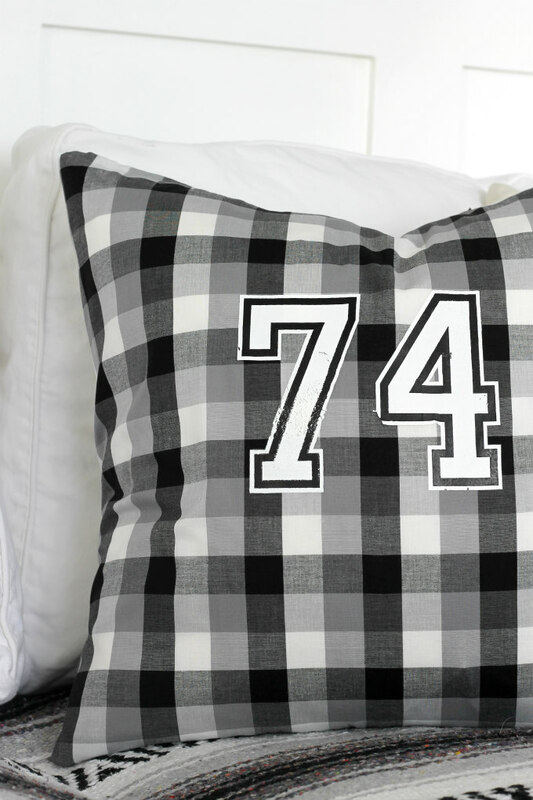 I was inspired by this rustic black and white buffalo check fabric I purchased at Walmart for only 3 dollars a yard. I knew this fabric would be a great touch to add to our Fall living room. I also thought it would probably fit in with my Christmas decor as well, so really this pillow doesn't need to be seasonal at all, and in fact, I'm sure you'll see a lot of this pillow in our home all year round. 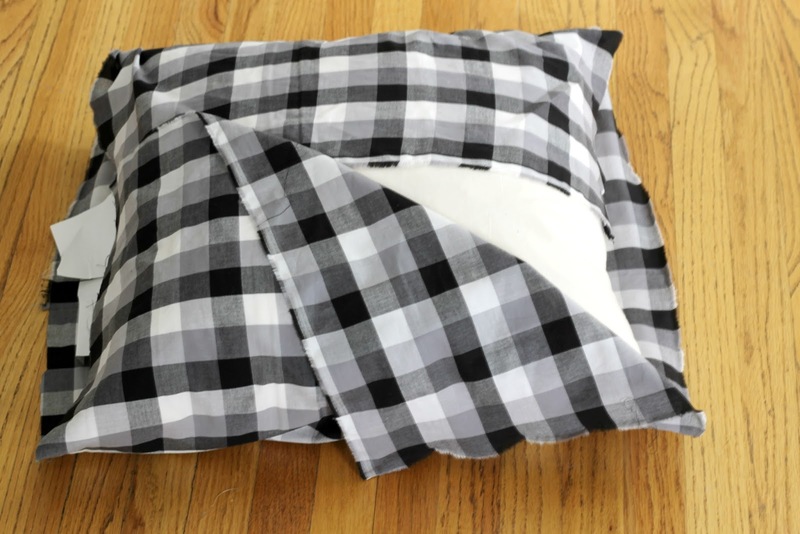 Here are the steps to sew this super simple pillow cover. Step one: lay fabric out and place a pillow insert in the center of it. Measure how much fabric you will need to cover the insert allowing a few extra inches to overlap and then cut off excess fabric. Step Two: Lay the fabric out so that the right side of the fabric is facing front side up. Now measure to find the middle point of the fabric and use a pin or an object to mark it, like I have here with my pair of scissors. Pull the left side of the fabric over just a few inches past the center mark. 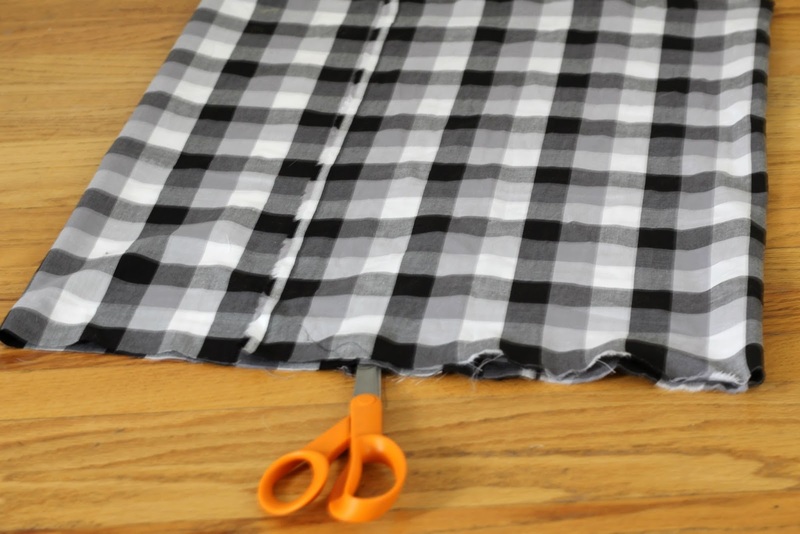 Now pull the right side of the fabric over to just a few inches past the center mark. Use pins to hold the edges in place on each end. Step 3: Sew at each of the two sides where you just pinned. Step 4: Once you have both sides of the pillow sewn you will inside it out at the center opening and place your pillow insert inside. It really is that simple. 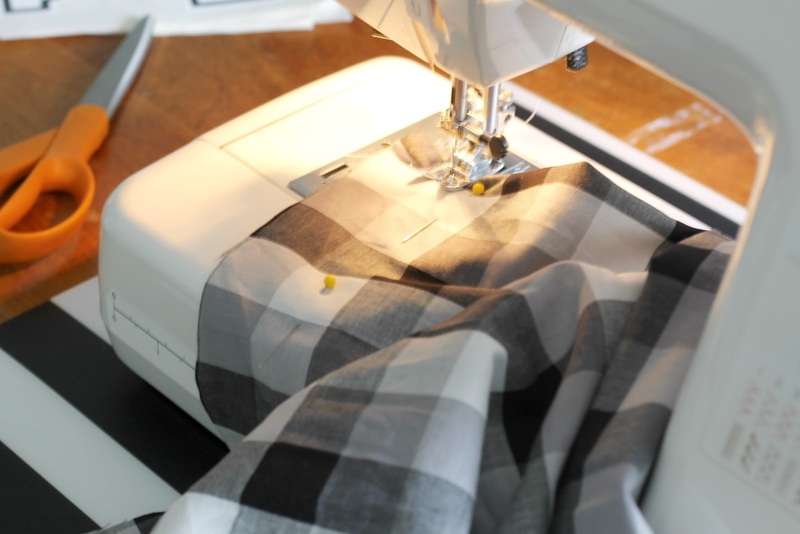 I love this envelope method for making my pillow covers because it doesn't involve any buttons or fasteners, and it doesn't sew your insert in either, making it easy to slip on and off. I had to share this cute picture of my dog. She likes to be by my side when I'm working on my projects around the house. Isn't she sweet? Once my pillow was sewn I decided it looked a little bare and needed something on the front of it. 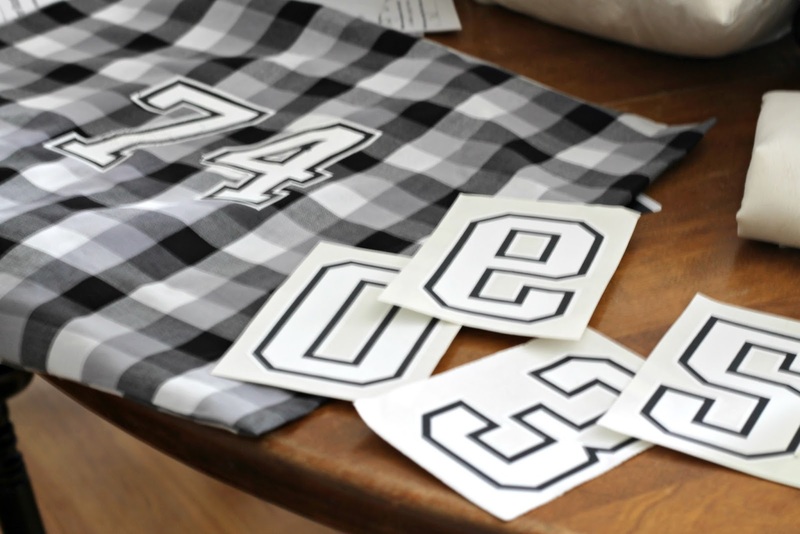 I had these iron-on sports numbers on hand and so I thought it would be fun to add them to my pillow to give it sporty football look, which is a perfect touch for Fall. 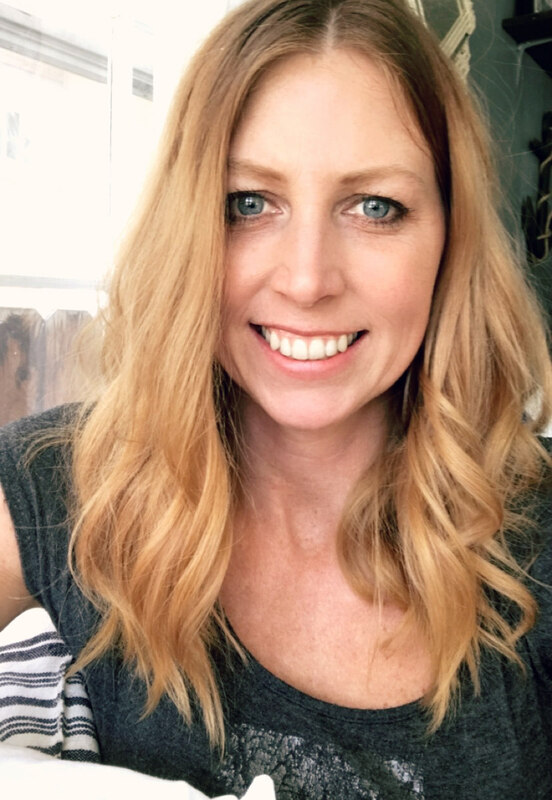 Of the numbers I had on hand I picked 74 for the year my husband was born. The iron-on however didn't go on as smoothly as I thought it would. The number came out looking a bit worn and was peeling up at the edges. I actually kinda liked it that way because it gives the pillow a some-what vintage look, so I'm calling it a happy accident. I'm happy with how it turned out and I think it makes a great addition to our Fall living room. And if you haven't seen our Fall Home Tour yet, you can by clicking HERE. Simple----I like to use fabric glue for simplier, yet.